Gas, bloating, discomfort…embarrassment. All too often, we face stressful situations or the backlash from a gluten-filled or highly acidic meal and experience these troubling tummy issues. Avoiding foods that cause these symptoms – such as fried foods, dairy products and highly acidic fruits – may keep the discomfort at bay, but when it’s too late and you’ve already done the damage, other types of foods and spices can ease stomach pain. San Francisco Bay Area Physician, Elizabeth Kocot, M.D. 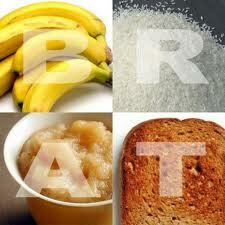 recommends the “BRAT” diet for periods of upset stomach. B – Bananas: Bananas are high in the electrolyte potassium, which will help if you have become dehydrated from vomiting or diarrhea. Their soft texture makes them easy to eat and digest. R – Rice: Plain white rice is bland and gentle to help coat the lining of the stomach and ease digestion. A – Applesauce: Plain or cinnamon-spiced applesauce is easily digested, relieves diarrhea, and is soft to eat when consuming more food is the last thing on your mind. T – Toast: The final component of the “BRAT” diet is plain, un-buttered toast. The carbohydrates and fiber will help soak up any acid and provide soothing relief for easy digestion. Ginger: Ginger – in raw form, capsules or ginger ale – contains chemicals that work in the stomach and intestines to reduce nausea and inflammation. Cinnamon: Cinnamon naturally improves circulation and energy flow in the abdomen, circulates energy to the rest of the body, and has a warming effect that soothes the tummy. When you’re especially gassy, bloated or feel nauseated from intestinal discomfort, eating or drinking products with cinnamon helps to prevent flatulence and intestinal cramping. Peppermint: Finally, peppermint is known to have a cleansing and strengthening effect on the digestive system. 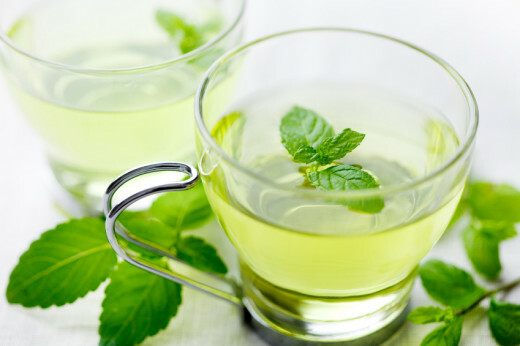 Drink peppermint tea or chew on a peppermint candy to soothe your stomach, relieve flatulence and promote the flow of bile. Next time you overdo it at your favorite local Chinese Restaurant or kick back a few too many cocktails at a friend’s party, put these tummy tamers on the top of your food list for ultimate comfort and relief!